Interview with Medal of Honor recipient Tech Sgt. Charles Coolidge from Medal of Honor Project on Vimeo. 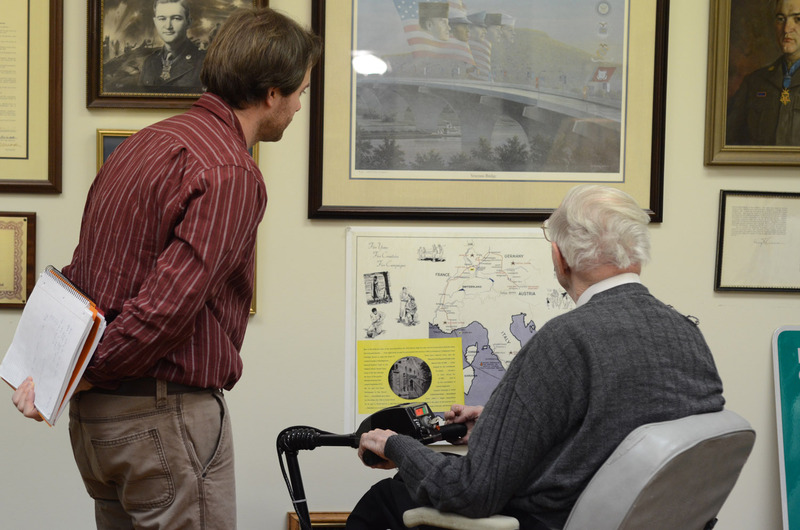 University of Tennessee School of Journalism and Electronic Media graduate student Joe Kuczynski interviewed World War II Medal of Honor recipient Charles Coolidge as part of the Medal of Honor Project’s history of the Medal of Honor in Tennessee documentary project. The interview took place in Mr. Coolidge’s office at his family’s company, Chattanooga Printing & Engraving, on February 7, 2014.